Back in October l entered into a little experiment that UPPERCASE magazine was hosting. Uppercase paired readers from all over the world with each other to share interests, art and stories. l was paired with Ellen from Denver, Colorado, USA. We exchanged emails for a few weeks and got to learn about each others inspirations, tastes in design and l also found out about Ellen’s fun experience when she lived in Stockholm. 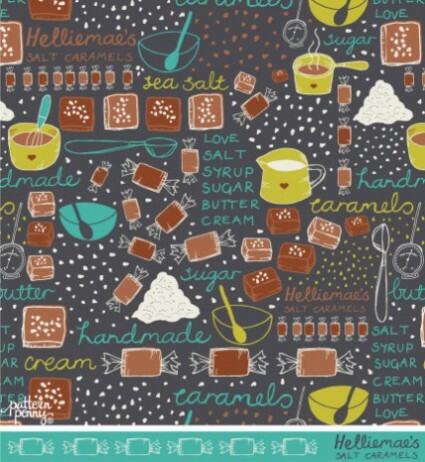 Ellen runs a business with her partner where they handcraft delicious caramels and deserts called Helliemaes. I designed a pattern/illustration reflecting on my conversations with Ellen. 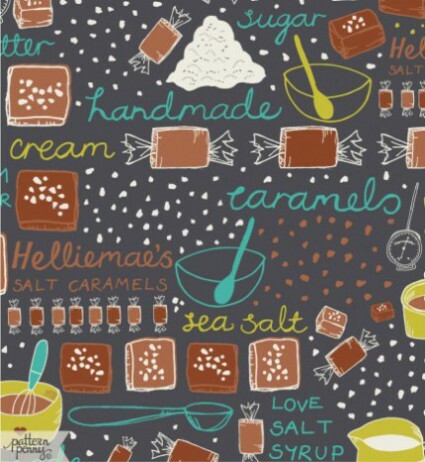 It’s my interpretation of the handcrafting of their Salt Caramels, which are one of their best sellers at Helliemaes. I was also included in Uppercases “Creative Calendar”. 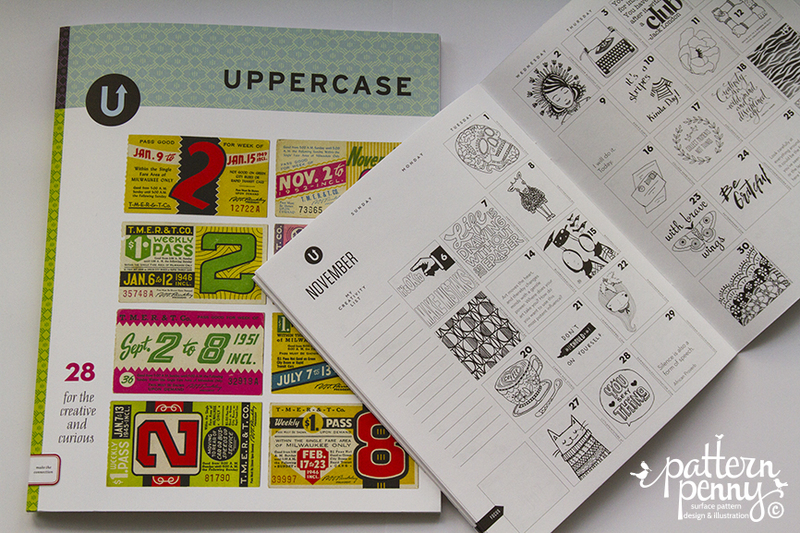 This calendar is filled with illustrations on different days created by Uppercase readers. My little illustration can be found on the 23rd of November. A butterfly: “with brave wings” The idea is to colour in the day’s illustration and to write or illustrate your creative goals for the month. Fun! If you are a creative person then l can highly recommend reading UPPERCASE magazine! 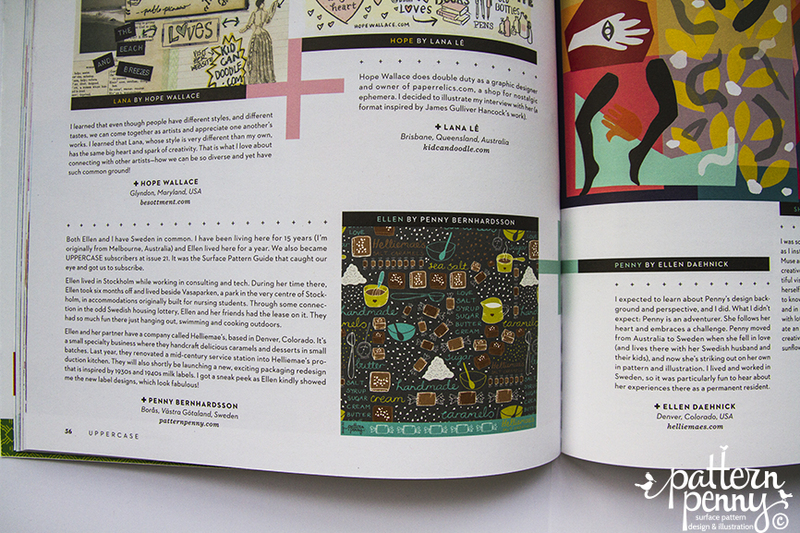 This is the second time l have been lucky enough to be in Uppercase magazine in the last year. They are a small independant magazine that are now in their sixth year.